We here at The Legal Blitz try to stay away from politics. However, when covering the intersection of sports, gambling, and the law, it is nearly impossible to do so. 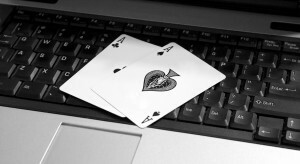 One particular issue that I have kept an eye on is internet poker. My home state of Pennsylvania is reportedly en route to legalizing internet poker within the next few months. Although this is terrible news for my productivity, it is a smart way for the state to generate new revenue while acknowledging its residents’ desires to play poker wherever they please. On a national level, I was encouraged to see that for the first time since 2000, the Republican Party’s Platform at the RNC did not call for a ban on internet gambling. Per Gambling Compliance this is historically significant because Las Vegas Sands chairman Sheldon Adelson, one of the Republican Party’s most important donors, has pledged to spend “whatever it takes” to outlaw online wagering. The DNC Platform is silent on issues involving internet gaming and poker. However, Donald Trump’s pick for Vice President, Indiana Governor Mike Pence, should sour any hope of outright national poker legalization. As the Poker Players Alliance pointed out to its membership, Gov. Pence authored a letter to the Indiana Congressional Delegation in 2014 asking them to support a bill that would shut down state-licensed poker websites and prohibit new ones. He began the letter by stating that he had long opposed internet gambling. The bill, known as the Restoration of the Wire Act (RAWA), was the brainchild of Rep. Jason Chaffetz (R-Utah) to impose a federal ban on all forms of online wagering. It would have rolled back a 2011 Department of Justice memo that held that the Wire Act of 1961, the law that prohibits transmitting wagers over wires (phones, fax, Internet, etc), applies only to sports and not to other forms of gambling. That 2011 Justice Department decision opened the doors for states to permit online gambling in addition to horse racing, fantasy sports and other games. Eric Holder’s decision was a momentous shift in the federal government’s interpretation of the Wire Act and the Unlawful Internet Gambling Enforcement Act of 2006 (UIGEA). However, if Trump/Pence win in November, the wheels could come off the online gaming train that has been gaining momentum this past year. “There is strong and consistent opposition to a federal ban on state-regulated intrastate Internet gaming from within Congress and from the outside,” wrote Poker Players Alliance executive director John Pappas in a June 15 letter to the Republican Platform Committee. Hopefully the businessman in Trump will reign in the anti-gambling stance of his running mate to promote a lucrative market that most of the modern world has already embraced. This entry was posted in Articles and tagged Pence, Poker, Trump, UIGEA. Bookmark the permalink.